I’ve never had a steam cleaner before so I was a bit perplexed when my husband suggesting having one. For the past years, I’ve been using our ever reliable vacuum cleaner to take care of all the dirt and grime in the house. Wth the arrival of our first born however, the orderly house got a little chaotic and with Jordan starting to move around on his hands and feet, I’m afraid the vacuum cleaner just won’t cut it anymore. It actually took me a long time before deciding on the Mcculloch Mop MC1275. I have to be honest, the steam cleaner’s color is actually the first thing that attracted me – a combination of deep yellow and black that goes perfectly with my living room color scheme. The next thing that got me were the steam cleaners which were pretty decet (though I usually don’t trust online reviews). Obviously, I was impressed with the product and decided to post my own feedback about it. Honestly, there are lots of steam mops that promise excellent results while I was shopping for one. The most important factor that tipepd the scales for MC 1275 is the fact that it can deal with barbeque grills as advertised. My husband and I love to barbeque and several times a month, an assortment of family and friends usually visit for a grand barbeque day. Needless today, our grill gets extensive workouts and its such a chore to clean everytime. 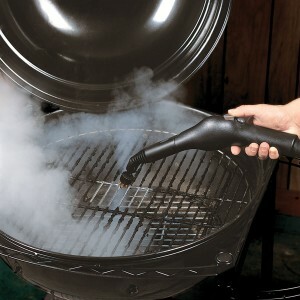 I tried the Jet Nozzle grill cleaner as advertised and presto – it removed the large chunks of grease from the bars! I have to say I was really impressed with the Mcculloch Cleaner and so was my husband. Now, we can grill as often as we want without dreading the cleanup. Most of the house has hardwood flooring which is easy enough to clean with the vacuum cleaner. I have to say, the vacuum cleaner is actually perfect because it gets all grits in between the flooring. After years of abuse though, the flooring started to get that ”dull” look which was promptly fixed with the steam cleaner. On my first sweep of the house using this cleaner, the differences between the pre-steamed and after-steamed colors very nery noticeable and after a few hours of hard work – the house feels like brand new again! I never really wanted carpeting considering how hard it is to clean. With the new baby in the house however, I have to have a small section of the house carpeted so Jordan can have somewhere soft to crawl on. It was a nightmare – babies can be little demolishers and within a month he probably spilled around 3 glasses of liquid on the carpet. I’ve managed to get them all out with the steam cleaner! 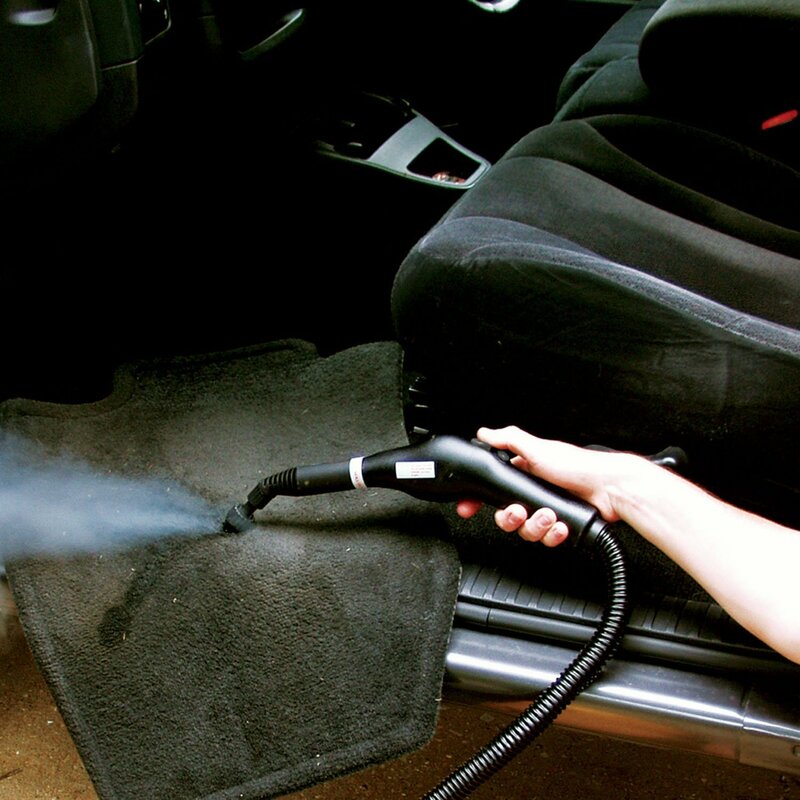 Note though, the attachment for carpet use is a little small – probably best for car cleaning. Since I’ve only got a small area of carpet to worry about, this isn’t a problem for me. For homeowners who have wall to wall carpeting however, another steam mop model might be better. 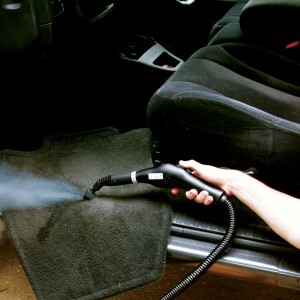 Okay, I already discussed the cleaning capacity of this tool, but did I also tell you about how easy it was to you? It’s a handheld steam cleaner so I don’t have to lug it around – which is a great relief considering how bulky our old vacuum cleaner was! I was a little afraid of the chemicals used but the ad says it’s natural which is important for me. 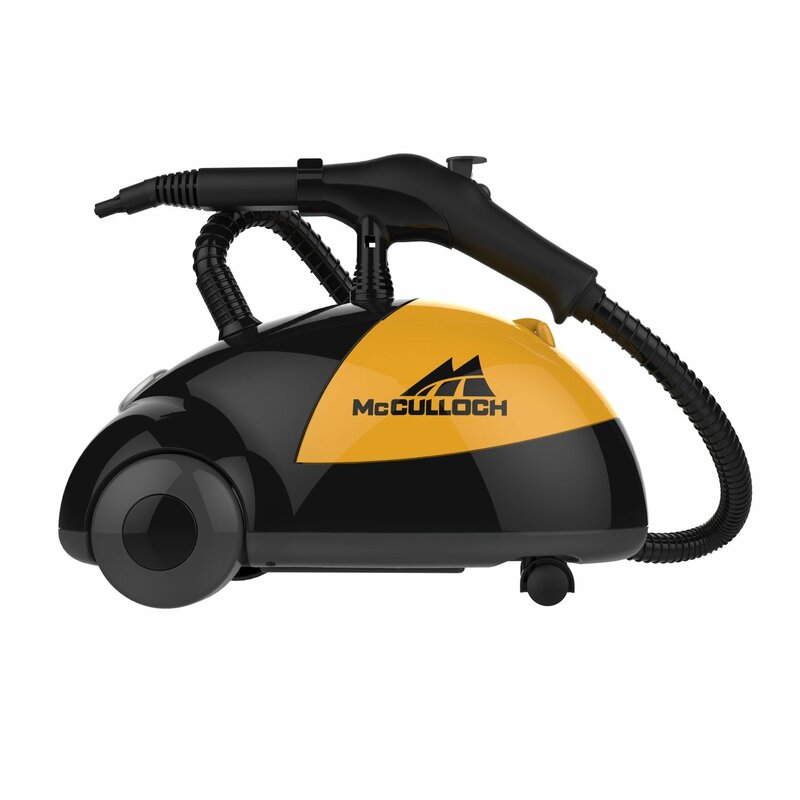 Makes everything clean with Mcculloch Products.